Australia is part of the populous Asian region, and there is demand for skilled workers to fill positions unable to be filled by Australian workers. The Australian Government has made major changes to the taxation system and has changed industrial laws to allow the commercial sector to expand and flourish. Families have also benefited from major social change as well, with generous family tax benefits, an inflation-linked pension scheme and a social security system that is the envy of many other countries. 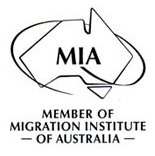 The skilled labour shortage in Australia is expected to be a problem for many years to come. Australia has a high living standard and a stable, democratic government. Not only does Australia have vast mineral resources, it has world class businesses operating in agriculture, manufacture and technological research. Australia has an excellent education system with first class schools and universities providing a high standard of education recognised around the world. It is a big country, with relatively few people, and the population is now made up with people from all around the world in a truly multicultural and tolerant society. Australians on the whole are easy-going and welcome immigrants looking for a better lifestyle in the “lucky country”. Australia is clean and safe, has wide open spaces and lovely coastal beaches, and a friendly sport-loving people. Everyone entering Australia has to hold a visa, and our immigration laws are strict and favour young people with skills that will help make our country grow. If you are able to match the criteria required to enter and live in Australia, there are many rewards waiting for you.